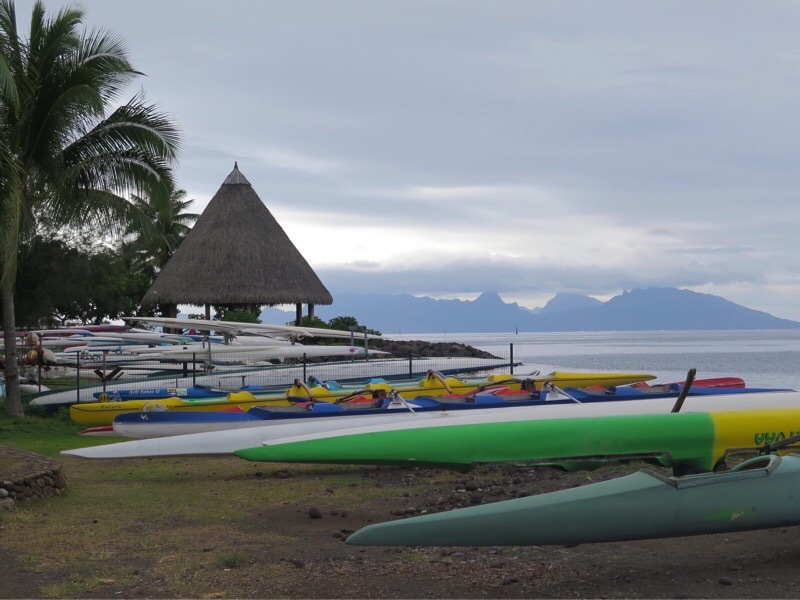 Our friend Walter said it’s hard to get sympathy for any sentence that has the word Tahiti in it and I guess that’s true, but we are kind of tired of being here. 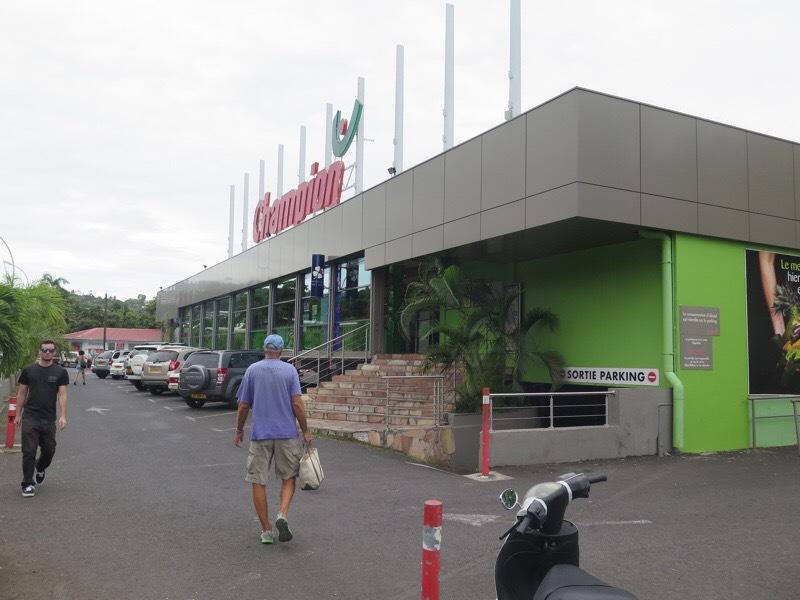 I think it’s largely because I’m still moving slowly and our ability to wander the streets of Papeete is curtailed by a smaller range than I’d normally have on foot. It’s also because we’re eager to move on and be back on our westward track. But we are pinned here for the moment by high winds and big seas outside so we’re staying put until we can be sure that our first foray, 150 miles back to Bora Bora, is a comfortable one. It must be cruise ship season. Every day or so a huge one — or two — docks directly behind our boat, blocking out half the sky and adding the constant grumble of its generators and loudspeaker announcements to the general city din of auto traffic, sirens and nightclub music ashore. We are now in the holiday photos and videos of about 2500 sunburned vacationers. 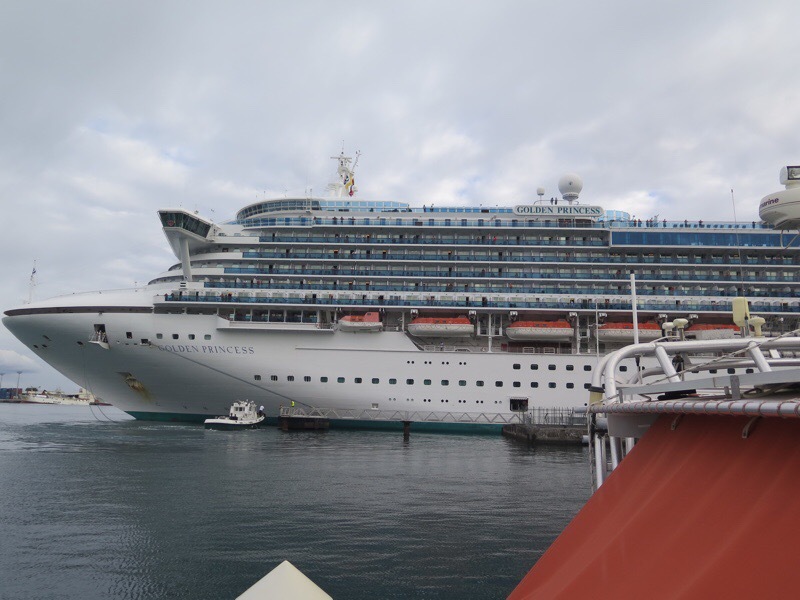 It’s been funny to look up and down the dock and see the cruisers all sitting in our cockpits watching the ship’s passengers at the rails just a couple hundred feet away watching us. In a way being docked right in the center of a lively city is fun — or would be if I weren’t hobbled — but we do miss the clear tropical waters, the wildlife and the peace of calm island anchorages. Every day we take a walk to the market or the grocery store or a cafe just so I can get my back into shape and regain the muscle tone I lost after weeks of inactivity. 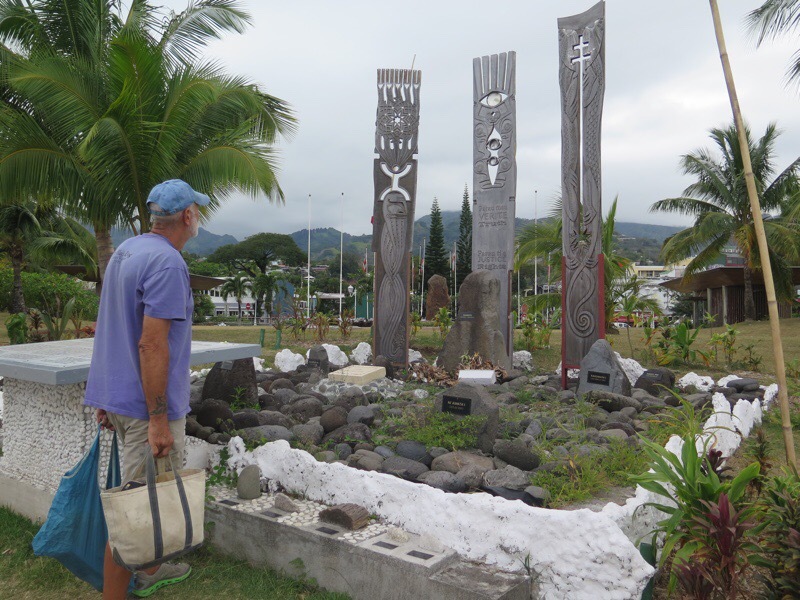 Yesterday we walked through a local park and came across a monument to the people affected by the decades of nuclear testing in these islands by the U.S., England and France. 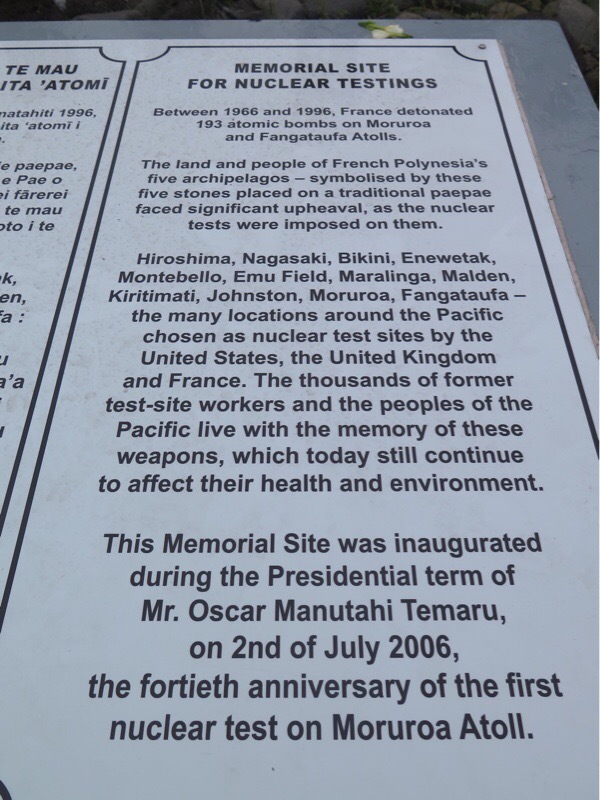 We’ve heard a lot of anti-French sentiment from locals because of the testing and its lingering health effects, and we were glad to have stumbled on the monument.